Описание товара "Vision Processor D4"
The Intel® RealSense™ Vision Processor D4 (Manufacturer’s Part # 957646) is a high performance ASIC designed to handle workloads from stereo cameras. When paired with a RealSense™ Depth Module, it is able to output depth and full HD RGB data over USB*. The small size and BGA package makes it ideal for OEMs and ODMs to design-in the ASIC onto system boards and daughter cards for maximum customization. 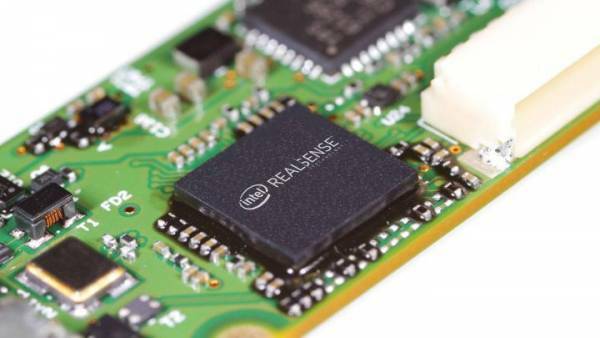 The Intel® RealSense™ Vision Processor D4 with a D400-series Depth Module is compatible with the Cross-platform SDK for Intel® RealSense™ devices enabling multiple computing languages and wrappers, sample code and tools. Ссылки на другие веб-сайты "Vision Processor D4"
Информация о продукте "Vision Processor D4"